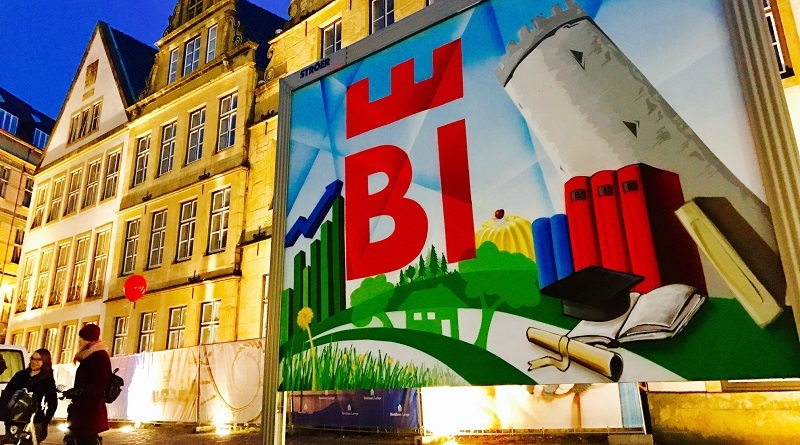 Full of history and culture, Bielefeld, a city located in the North West of Germany, has definitely stepped up its marketing game over the last couple of years. In order to gain a better understanding of the participatory approach that has recently been implemented to rebrand the city, we spoke with Martin Knabenreich, Managing Director of Bielefeld Marketing. Before getting into too much detail, our attention was immediately caught by the official logo - one of the main visual elements of the new campaign. Submitted by deteringdesign as entry for the 2016 edition of the Bielefeld Marketing competition, the logo has two elements: “BI” that stands for the code of local license plates, and a rotated “E” - something that resembles the silhouette of Bielefeld’s most prominent landmark - the Sparrenburg, a medieval castle. Beyond doubt though, the most interesting part about the overall strategy is its very diverse participatory approach. Not only the logo itself can be freely used in private contexts as well as public settings, but contests such as the “Deine Fan-Aktion für Bielefeld” - where virtually anybody could submit ideas - have really made it possible for individuals to get involved.